High performance pvc fence is widely application in our daily life , such as house decoration , balcony , terrace , garden and outdoor landscape ,why pvc fence so popular , because pvc fence long life ( more than 20 years ), eco friendly , surface smooth , safe and weather resistance , have rich color can be option , can meet different customer needs . Pvc fence with unique formula, special anti-UV, anti-aging and high stabilizer and high performance , to ensure that the appearance nice, do not fade, not crack and never need to painting, maintenance, the product life more than 20 years, having touch smooth , green, concise shape characteristics that can be embellished architectural appearance, make your environment more warm and comfortable. Pvc fence has easy installation, high strength, pollution-free, corrosion-resistant, low maintenance, easy-cleaning, etc., suitable for industrial and, institutions, municipal, roads, parks, apartment, schools and other places. Product export to different countries , with affordable price . 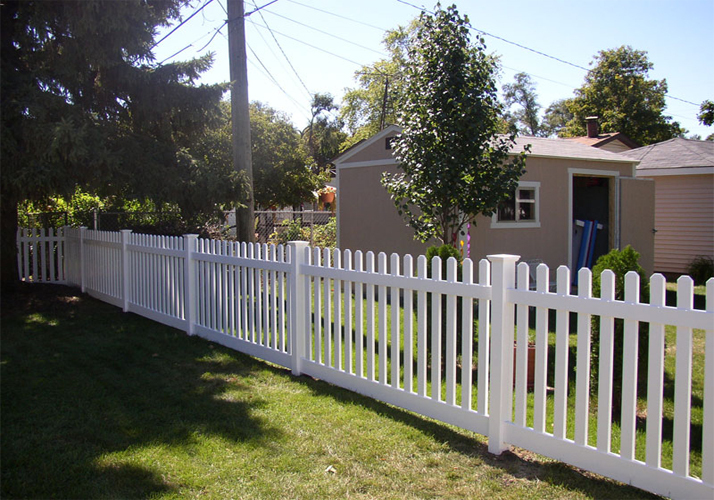 Finally , high performance pvc fence use special PVC profiles as a main component of a composite material. ensure fence sufficient strength and weather resistance. PVC is a non-toxic, harmless, energy and 100% recyclable green materials.